Looks like Apple in an attempt to rush the product out of the factory ignored some basic design flaws in its iPhone 4. 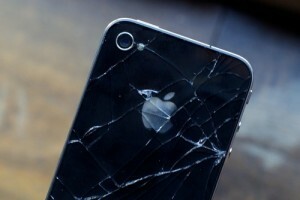 It is being widely reported that the iPhone 4 is starting to crack! The outer glass casing was reported to be cracking. Apple however is blaming the scratching and breaking of the glass on third party slip-on cases. Apple says that dirt that gets into these cases rubs against the iPhone’s outer shell causing it to crack. It was reported that instead of trying to address the issue, Apple’s engineers were actually working to replicate the problem with various third party cases. Till date the iPhone 4 has about nine serious issues that were reported. Is the consumer report taking serious note of this new issue? This new issue is being termed as “glassgate” after the “antennagate” issue with the antennas. The following are some things that are wrong with the iPhone 4. Antenna put on the outside. Discoloured screen results which are in yellow-brown smudging. Volume controls are flipped and decreasing is actually increasing. Rear camera is barely used. Mostly useless. The phone movement tracking feature disconnects it when it is brought to your ear. Signal strength is incorrectly displayed. Previous Laptops, a Health Hazard?